Just as the old expression goes, sometimes what you're looking for is right under your nose. For the past few days, I've been working on a DIY upholstered trunk. Actually, my dad has built a pine trunk to my specifications. 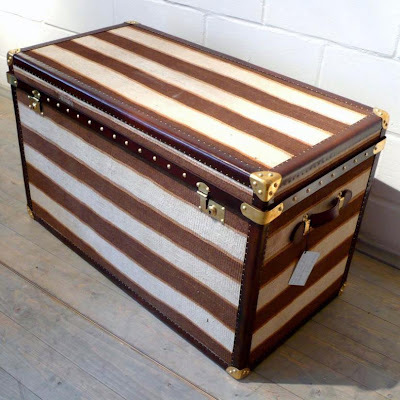 While I, meanwhile, have basically ordered some fabric swatches, studied the hardware options over at Horton Brasses, and looked at a couple hundred pictures of vintage canvas-clad steamer trunks. 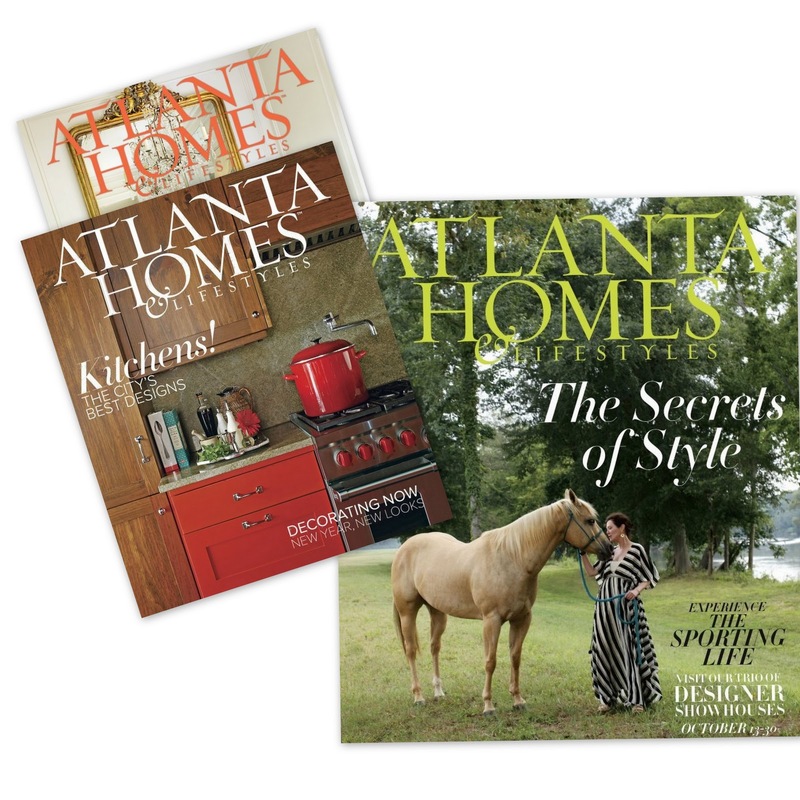 Great inspiration has come from Atlanta Homes & Lifestyles' October 2011 story about John Rich and his menswear store in Braselton: Oakleaf & Acorn. 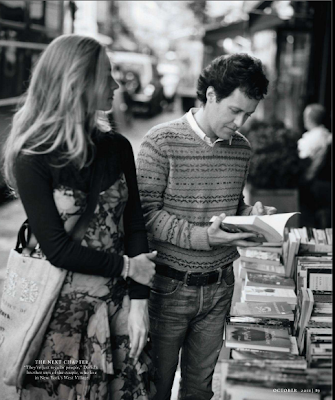 (Just as some of the best fashion often travels from the street to the runway, fascinating shop owners, artists, and designers are usually seen in local magazines before the nationals: I first got a terrific sense of Ann Mashburn's domestic style via this AH & L story.) Fine details, as well as the overall vibe captured in Mali Azima's photos of Rich's small shop, have fueled my imagination. Several old trunks (from lux to more humble) visible in behind-the-scenes shots of Imogene + Willie, our Nashville neighbor, have inspired me too. But back to AH & L, with so many acclaimed talents routinely featured in the magazine, I was truly surprised to see my name pop up among some very distinguished Atlantans in the November issue (link to piece coming soon by Jennifer Boles here). On top of that, the lettering on the invitation to a gathering celebrating the story reflects one of my little obsessions (in a positive way). In an attempt to live up to the honor, my November posts will incorporate more local fare. 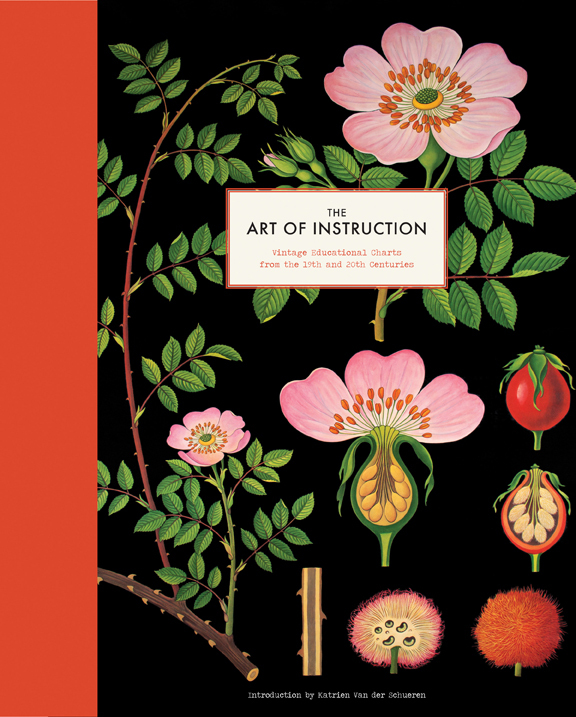 Coming this week: the large-scale, have-to-experience-in-person art books available at the relocated Sam Flax, including a title I spied on my third visit to the emporium, The Art of Instruction. In the meantime, don't forget only a few days remain to see Kathryn Kolb's work at Thomas Deans Fine Art's new Miami Circle location. I couldn't resist doing another, sort of loose tie-in with LACMA's current show, California Design, 1930–1965: "Living in a Modern Way". Founded by potter Edith Heath in mid-1940s California, Heath Ceramics became synonymous with West Coast pottery and influenced ceramics production across the U.S. 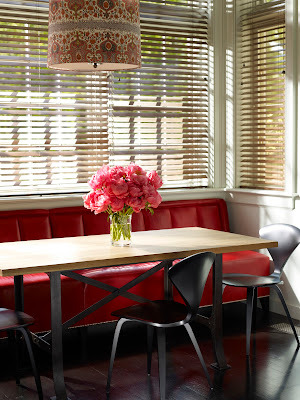 Remarkably, the mid-century American studio endures, still crafting all of its wares in Sausalito. 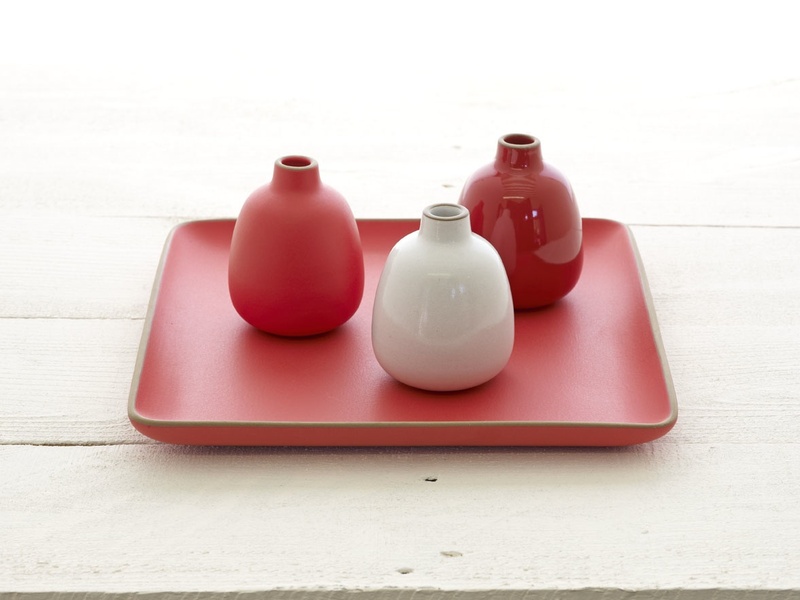 Here are some of the latest goods: samples from the 2011 seasonal collection, Classic Red. Launching November 1, these pieces will be made in limited edition quantities and available until April 1, 2012. 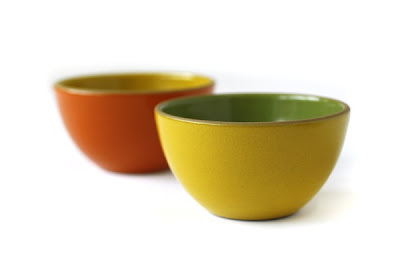 The bowls shown below are from the Kids'collection. If I had a set on hand this weekend, I'd be filling them with Reese's minis. For a little Halloween spirit, see my 2010 post, Witchy Women in the Kitchen, about Robin Standefer's production design for Practical Magic. 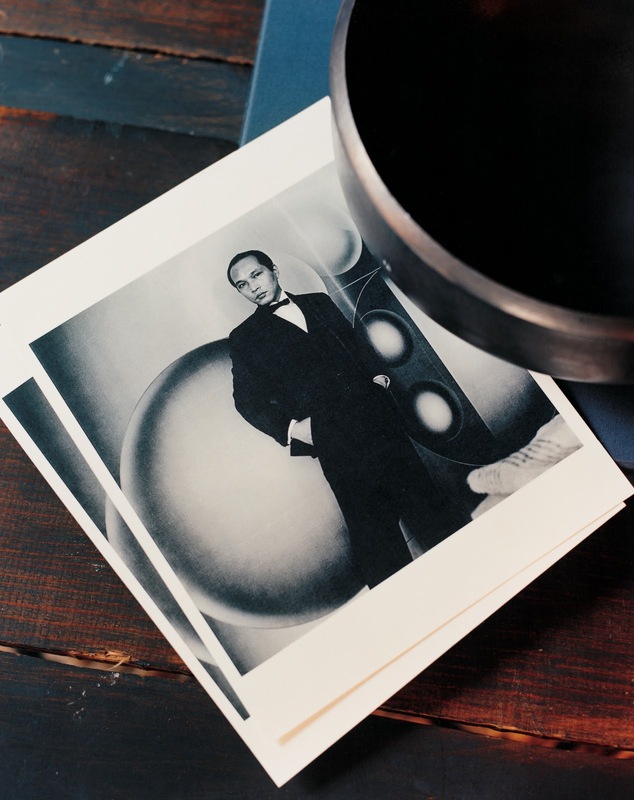 To peek at some vintage Heath, click here. Adventurous spirit Doris Duke has been mentioned a lot on this blog. I think everyone already knows that she was an inveterate traveler, but the recent illustrated talk by Shangri La's Scholar-in-Residence, Dr. Thalia Kennedy (plus material now available at Duke University Libraries) shows that it's not entirely off base to compare her to the ever-popular Keith Johnson (Man Shops Globe). She wasn't visiting artisans to source unusual wares for a retail shop, but Duke was passionate about craft, she had access, she was curious, and she incorporated less expected finds into her houses back in the States. For the past few weeks, lavishly produced books have given me a different kind of access to extraordinary places, designers and craftspeople. 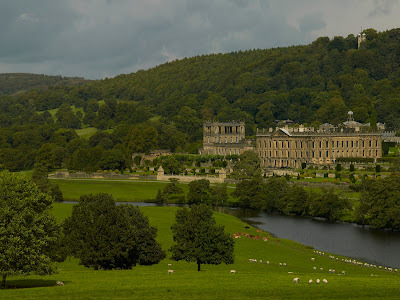 With British architectural historian Jeremy Musson's English Country House Interiors, I've toured fourteen Western wonders (as Sir Roy Strong describes the houses in the book's forward). 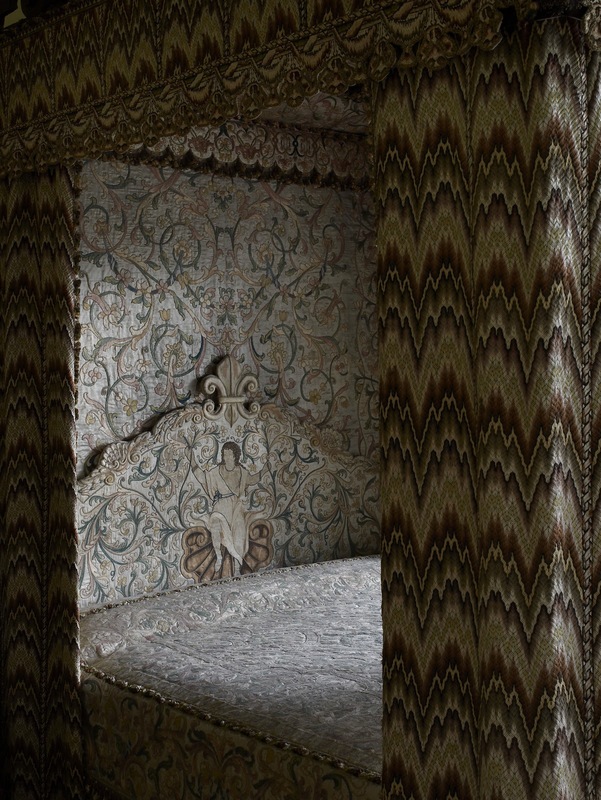 This close view of embroidered flame-stitch bed hangings in the Grand Chamber at Parham House, along with the 1580s French or Italian coverlet, headboard, and tester, shows how the book's style departs radically from standard text book or tour guide fare. There's a sense of intimacy and life, and we're able to better appreciate the museum-quality textiles, paintings, and furniture found in these remarkable houses. 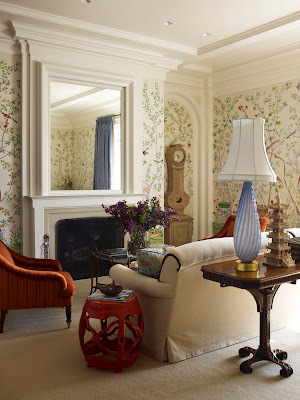 (Right off the bat, I was struck by the abundance of fresh flowers in the rooms.) Although open to the public, most of the houses are still lived in by descendants of the original owners. 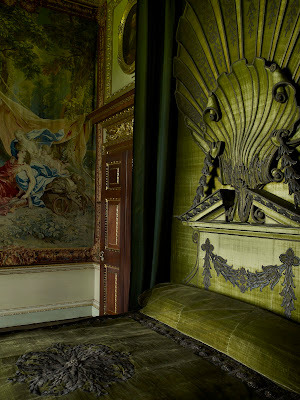 Another intimate peek: Green Bedchamber (green was associated with the goddess Venus) at Houghton Hall with bed and overmantel designed by William Kent. 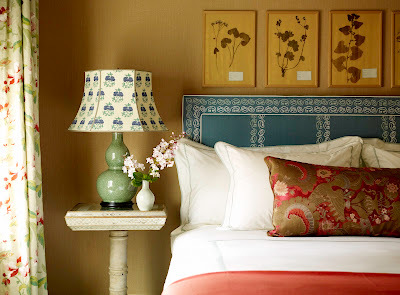 As grand as the rooms are, I tend to find details that I want to translate for smaller spaces -- whether it's a certain mossy shade, a crewelwork vine, or a cluster of Chinese export porcelain. 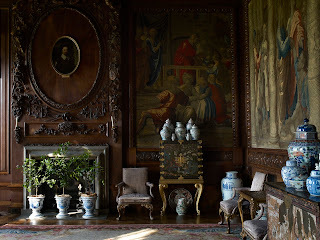 Musson covers all the major periods of English country house decoration, encompassing Jacobean, Georgian, and Gothic Revival, and he spends a great deal of time on each house. 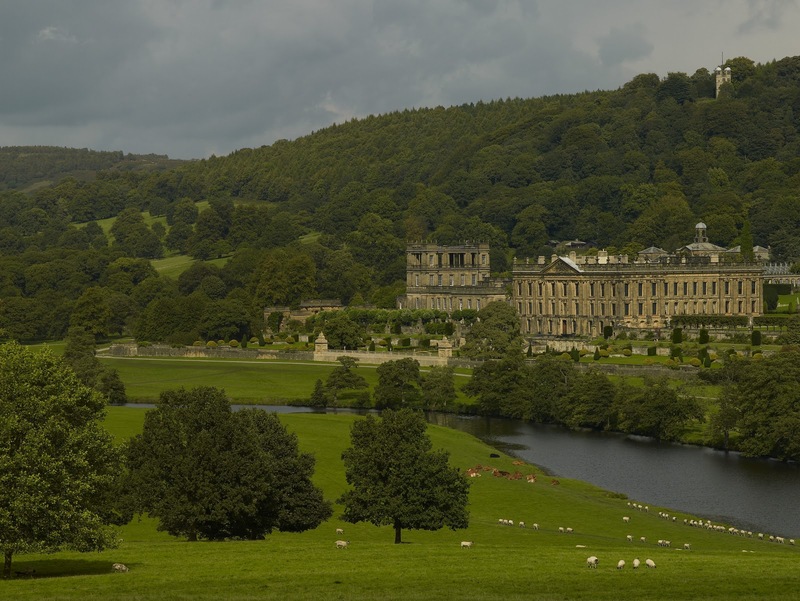 Anglophiles will be happy to know that Chatsworth, Castle Howard, and Wilton are included. 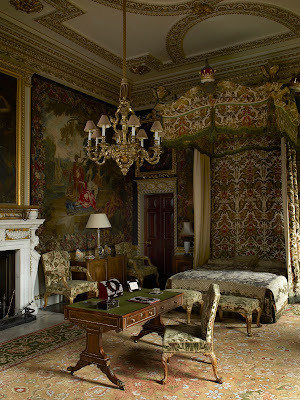 And I have to add, after reading Emile de Bruijn's post about The East India Company at Home, 1757 to 1857, I'm looking at all the interiors with an eye for specific objects. Bonus feature: a very comprehensive bibliography and index. Laura Sartori Rimini and Roberto Peregalli (of Milan-based interior design and architectural firm, Studio Peregalli) channel the past in their projects. 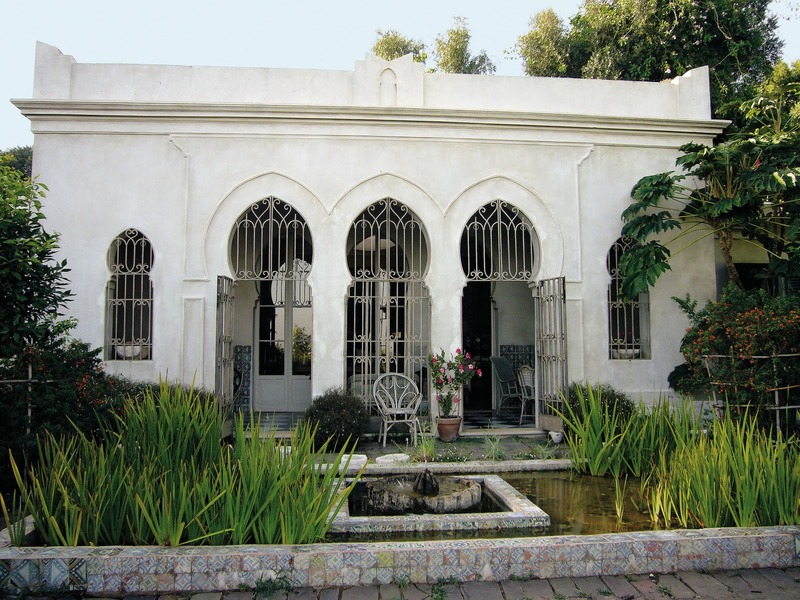 Through their new book, written in their own words and aptly titled The Invention of the Past, I've been able to snoop around sites ranging from a Moorish-style pavilion in Tangier to an austere 1920s house in Munich. The way Rimini and Peregalli see things, we are living in confusing times. They like to create protective shells with precise forms and functions -- nuanced spaces that won't inspire boredom or become unfashionable down the line. 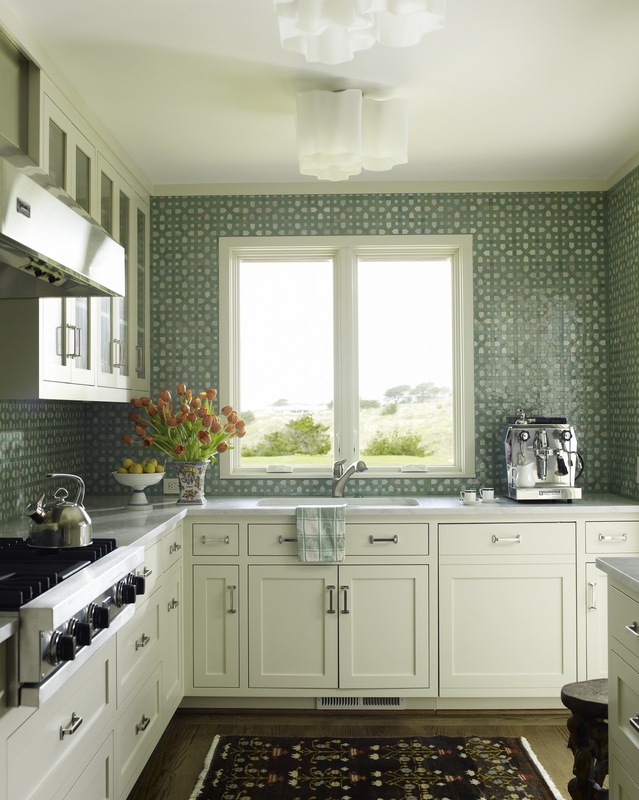 Their interiors relate closely to the architecture. In many cases they work on a project from the ground up; other times the duo renovates an existing space. Both cut their teeth working for Renzo Mongiardino, so it's no surprise that their projects also include museum installations and opera stage sets. Because the Studio often makes use of exceptional trompe l'oeil finishes by master craftsmen, I think decorative painters will really appreciate this expansive volume. 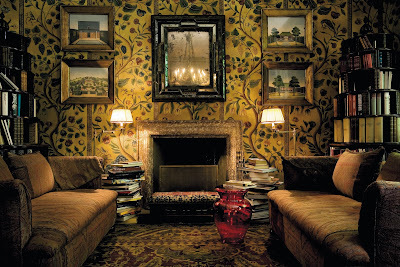 Personally, I'm drawn to the warm and rich (yet also somehow mellow) layering of color and pattern. Vogue's Hamish Bowles describes Rimini and Peregalli as the alchemists of contemporary decorating and architecture. The room above has decoration that suggests 18th-century leatherwork of Cordoba. And more flowering branches: perennial favorite Flowering Quince by Clarence House as seen in another new release, Clarence House: The Art of the Textile, by the firm's longtime design director, Kazumi Yoshida. This book is transporting me to the 1960s, when the theatrical American, Robin Roberts, founded the firm, and opening my eyes (more widely, at least) to the East-meets-West influence of Yoshida -- particularly in recent years. Designed in 2000, it's said that Flowering Quince encapsulates Yoshida's signature brushwork and his marriage of the spare Japanese aesthetic with a "fuller" American style. It's not completely abstract but it's also not pictorial. Yoshida says Roberts was an amazing teacher who provided inspiration and opened his eyes to new things -- museum exhibitions, antique textiles -- so that Yoshida could hone his eye. 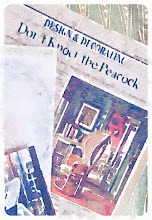 But the fabrics we know today as Clarence House aren't stylized or updated takes on old document prints, they are free-wheeling Yoshida originals. His hand is clearly evident. Because the spirit of the book centers on Yoshida as artist, I think students contemplating a career in textile design will find it interesting and inspiring. (Although Yoshida is quick to point out that he had the opportunity to learn and evolve on the job -- a chance everyone doesn't get.) 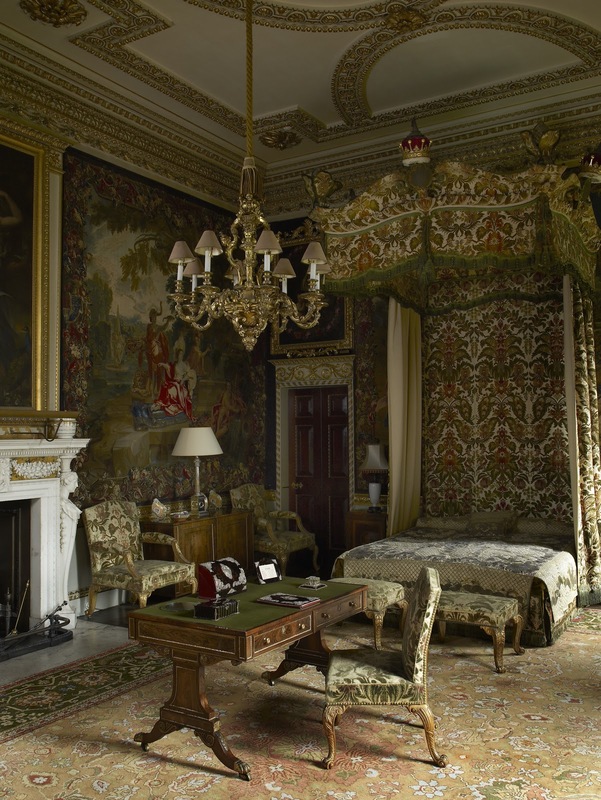 Apart from Francois Halard's stunning pictures of fabric, there are also many images of Clarence House's trademark ads, which should appeal to a variety of creative professionals as well as decorators. 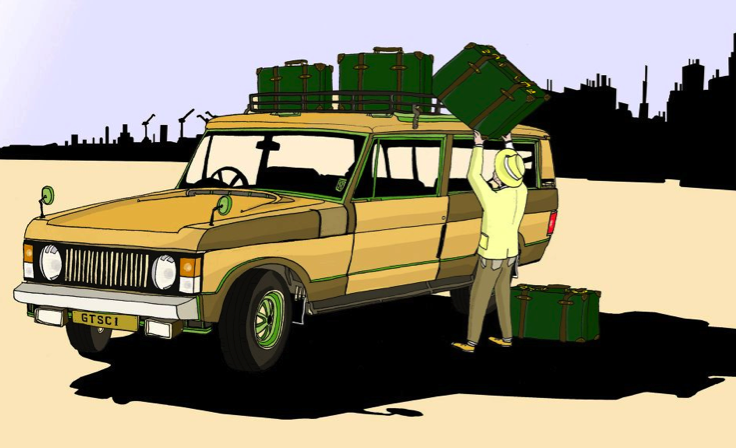 Hector Lloyd's terrific illustrations for the iconic British luggage maker Globe-Trotter may be downloaded as desktop wallpaper. Learn more here. Book reviews and sneak peeks are based on books in my own library as well review copies -- sometimes digital, sometimes hardcopy -- provided by the respective publishers. 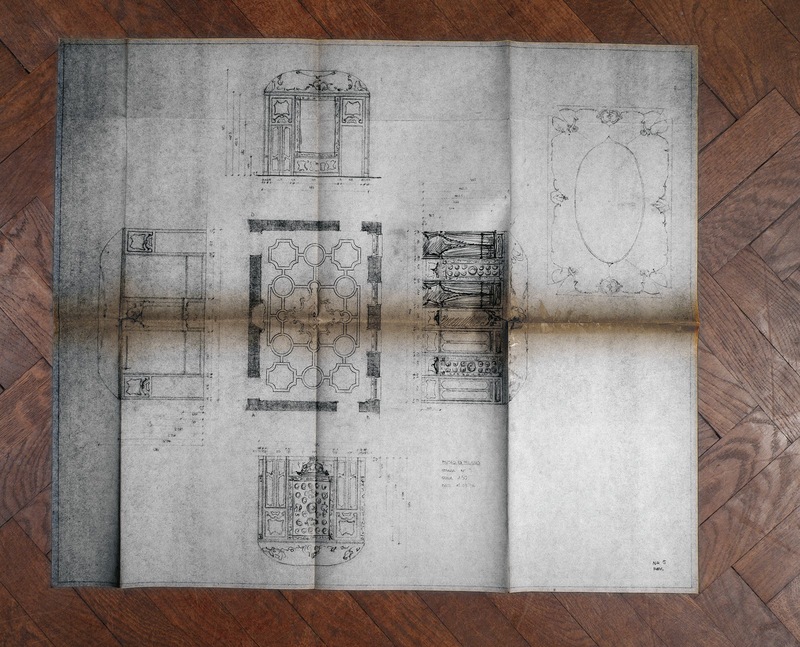 In this case Rizzoli gave written permission to share preview images. Books are always on my mind but more so this week for several reasons: the newly relocated Sam Flax has an expanded book section filled with gorgeous art and design tomes adjacent to the bookbinding supplies; an exhibition of Joan Griswold's paintings of books in New Orleans interiors (plus a few exteriors) opens October 30 at Cole Pratt Gallery; and I plan to wrap up the month with previews of more new fall releases. 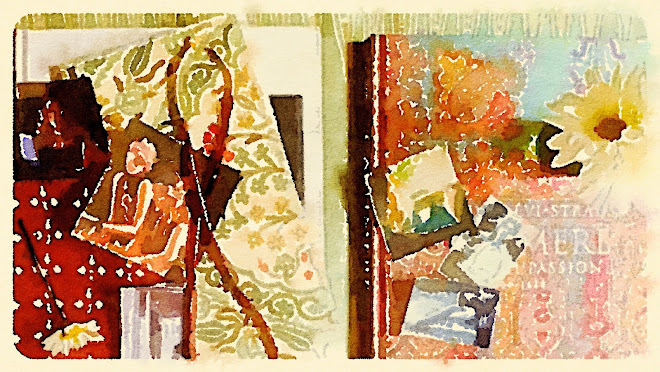 Oh, and on top of that, a recent Met's Connections features chief librarian Ken Soehner discussing, you guessed it -- books depicted in art. 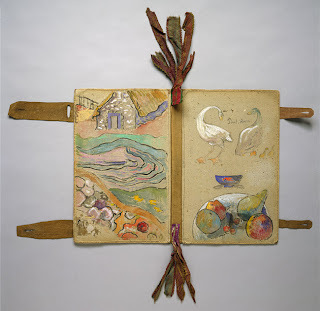 Actually, one of the objects Soehner highlights is a real book (an artist's portfolio to be precise) made by Paul Gauguin. I find it endlessly inspiring. 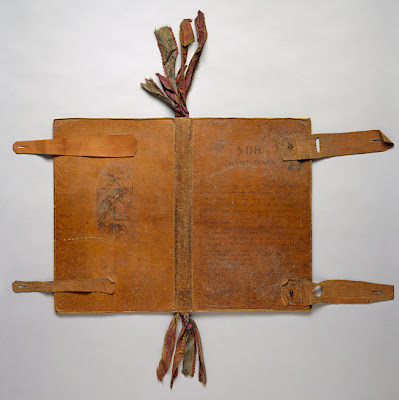 A summary from The Met's Heilbrunn Timeline of Art History: "One of Gauguin's most appealing excursions into the decorative arts, this extraordinary work remained virtually unknown until its sale at a Paris auction in 2000." 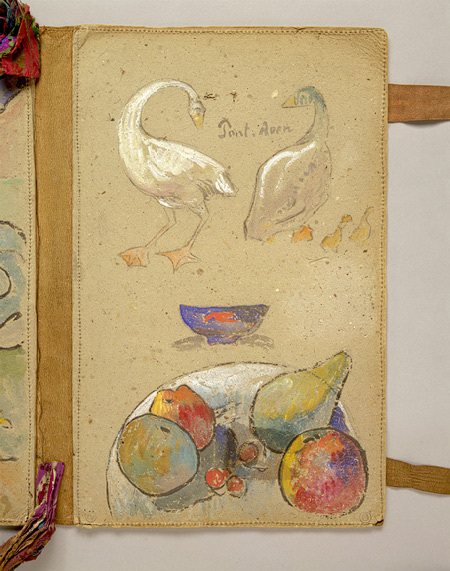 The french painter created this hand-made portfolio during some down time -- a period during which he was unable to stand at his easel due to a fractured leg. He decorated the two inside covers with watercolor and gouache, over charcoal, with graphite; the outer cover is bound in leather and inscribed in pen and ink. The 19th-century piece is a promised gift to the Museum. Learn more here. In the previous post I linked to a recent illustrated talk by Shangri La's Scholar-in-Residence, Dr. Thalia Kennedy. Word of caution: This isn't a three-minute clip. The full hour was taped, so I know it will be a challenge to carve out enough time to watch the entire video. But if you're passionate about Mughal design and Indian craft, it's well worth a look. A few really terrific vintage images of Doris Duke's Mughal-inspired bedroom are shown toward the end. 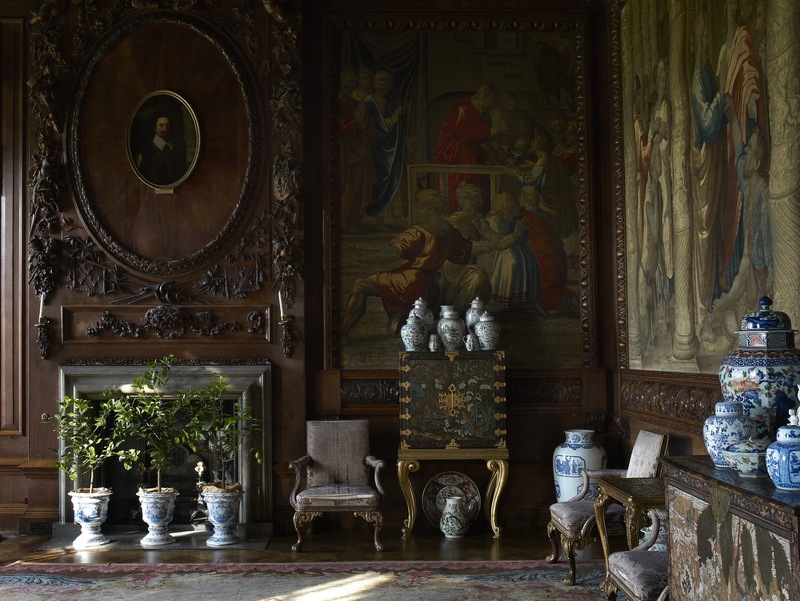 Leading up to this, Kennedy describes in detail Duke's and husband James Cromwell's early travels in India, how Duke became enamored with Indian craftsmanship, and the incredibly intricate work commissioned by the couple. 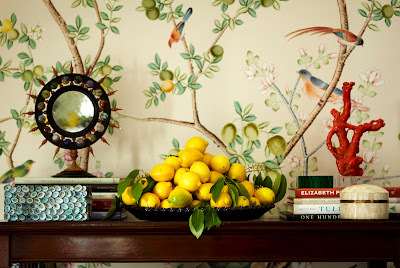 Pretty much everything I love is encapsulated in this picture of Deborah Needleman's Hudson Valley home: the sturdy, kid-friendly, it's-okay-to-put-your-feet-on-it ottoman covered with a vintage suzani; books, including Oberto Gili's Home Sweet Home: Sumptuous and Bohemian Interiors; relaxed people; simple daisies; and an old densely patterned rug. I like the image so much I'm using it as wallpaper on my iPhone, iPad, and computer. 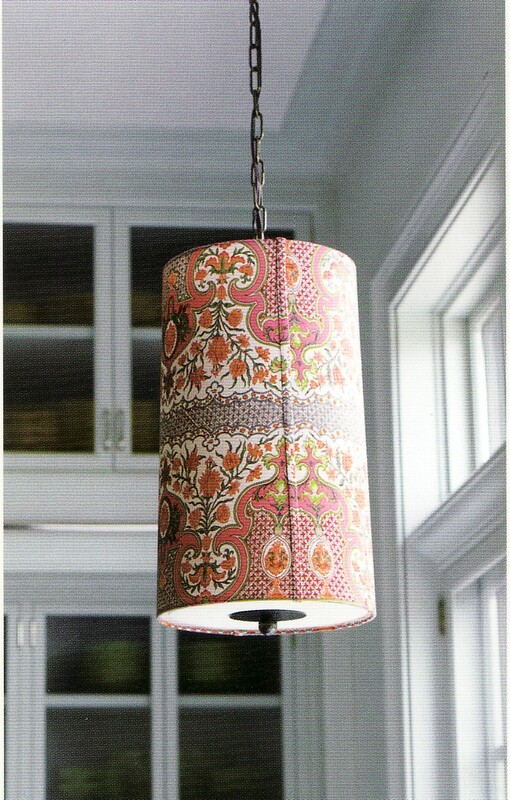 It was an unexpected treat when I opened my November Martha Stewart Living and found a peek inside the WSJ. 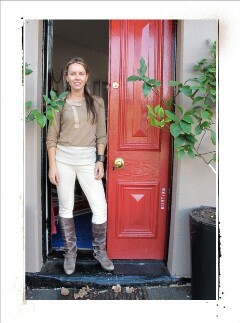 Magazine editor in chief's house along with an accompanying story by Needleman herself. This issue is definitely a must see. I'll be back soon with my own thoughts on Needleman's new book, The Perfectly Imperfect Home (illustrated by another SC fave, Virginia Johnson, BTW). 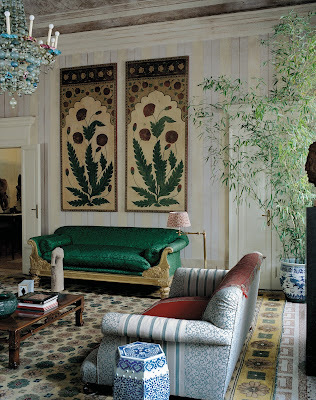 Longtime readers know that I'm a big fan of Doris Duke's suzani collection. 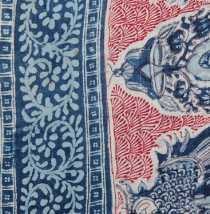 Although her old embroidered textiles mainly originated in Uzbekistan (the Bukhara region), she actually picked up nine of them in 1935 while traveling through India as part of her craft-finding-world-tour honeymoon. If she were around today, I think she'd be headed to San Francisco's Asian Art Museum to see Maharaja: The Splendour of India's Royal Courts. I mentioned this exhibition a while back, but now the companion app is available. 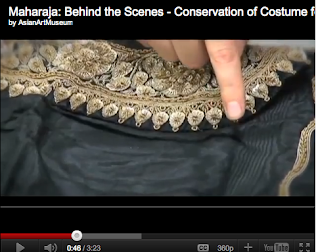 The Museum has also posted some behind-the-scenes videos here. 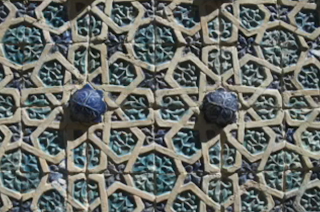 And as a follow up to the Ridder post, I thought I'd point out that an illustrated Shangri La talk about tile from the Near East can be seen here. 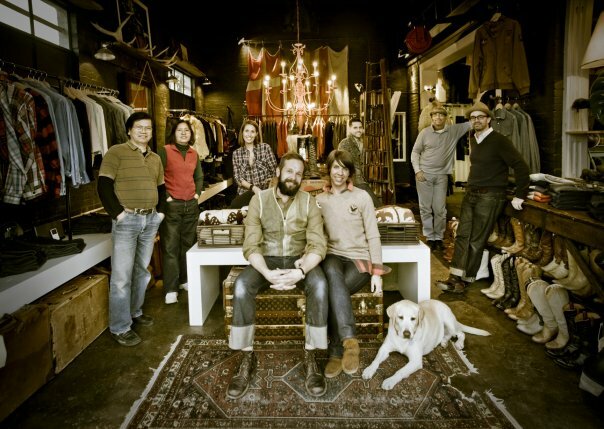 On a loosely related note, please stay tuned for a report on the newly opened Peachtree Street Sam Flax. Maybe it was all the Bloomsbury research I've been doing lately. Or the bespoke upholstery in Katie Ridder's new book. 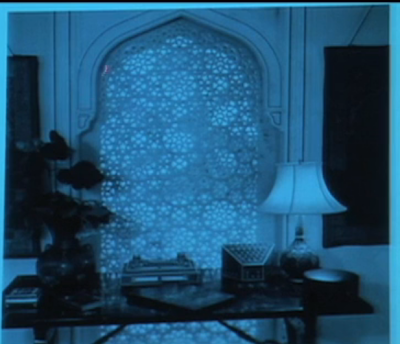 Then again, maybe it was Patricia Shackelford's incredible DIY dining room. 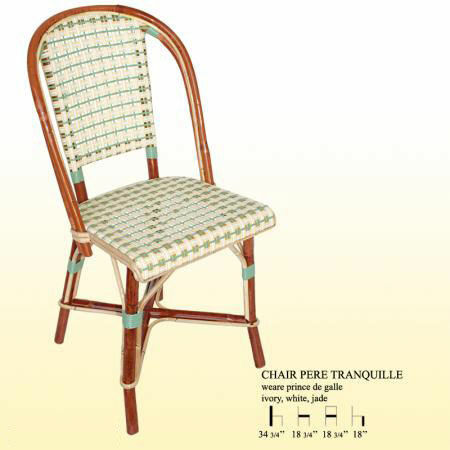 But I could no longer sit idly by; I had to start a domestic fall project. It was time to finally tackle a trunk inspired by the antique-dhurrie-covered Guinevere piece I've been talking about for the past few years. So far, all I've actually done is find a site with cool trunk hardware and go over some dimensions with a carpenter (my dad). However, I hope you'll stay tuned. If all goes well, I'll have a finished piece before the holidays. In the meantime, some less expected sources of inspiration. Covering my own trunk with old dhurries may be cost prohibitive, so I've been turning to other rugged textiles as an alternative -- striped or solid no-nonsense work-with-everything linens, for example. In terms of palette, I've been inspired (yet again) by the natural raffia shades seen throughout The Textile Museum's show, Weaving Abstraction: Kuba Textiles and the Woven Art of Central Africa but I've also been soaking up the earthy hues ever-present in The Met's exhibition, Heroic Africans. 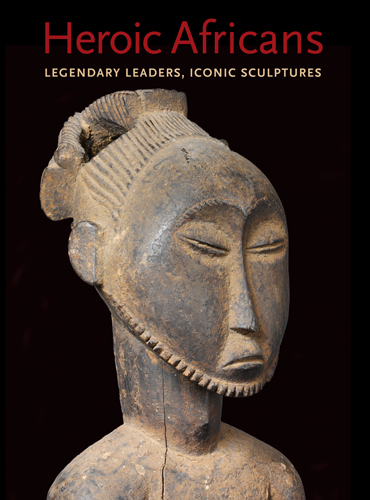 Designed to dispel conventional notions of African art, the latter is a major international loan exhibition comprised largely of sculpture. 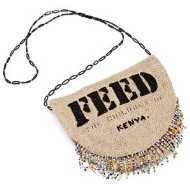 Lauren Bush Lauren's design for the FEED 2 Kenya bag is inspiring me on several levels. 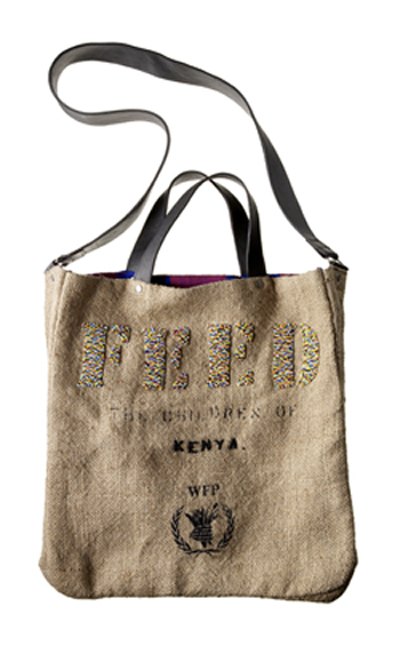 This bag juxtaposes a natural burlap foundation (Lauren's original design has always suggested the sacks used by the WFP to distribute nutritious food to hungry children) with authentic African details: a Kenyan Masai tribal fabric lining and traditional hand-beading. 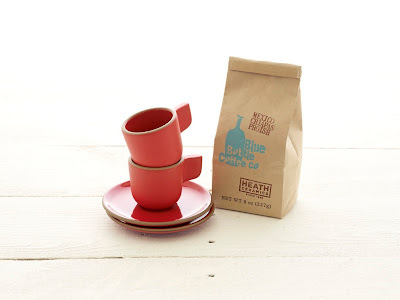 Additionally, the bag is handcrafted in Kenya by a co-op of women and deaf Kenyans. Purchase of the bag benefits these workers as well as the United Nations World Food Programme's School Feeding Operations in Kenya. Specifically, each purchase includes a $100 donation which provides school meals to two Kenyan children for an entire year. I love how the Masai fabric lining is an unexpected, slightly hidden surprise while the burlap exterior (with rich leather straps, BTW) is highly versatile. For more on African textiles, including beadwork, visit Global Patterns at the MFA, Boston, and for African aesthetics in general see the Museum for African Art. Over the weekend, I spotted these baby ranges in the window of the Viking store on Peachtree Street. 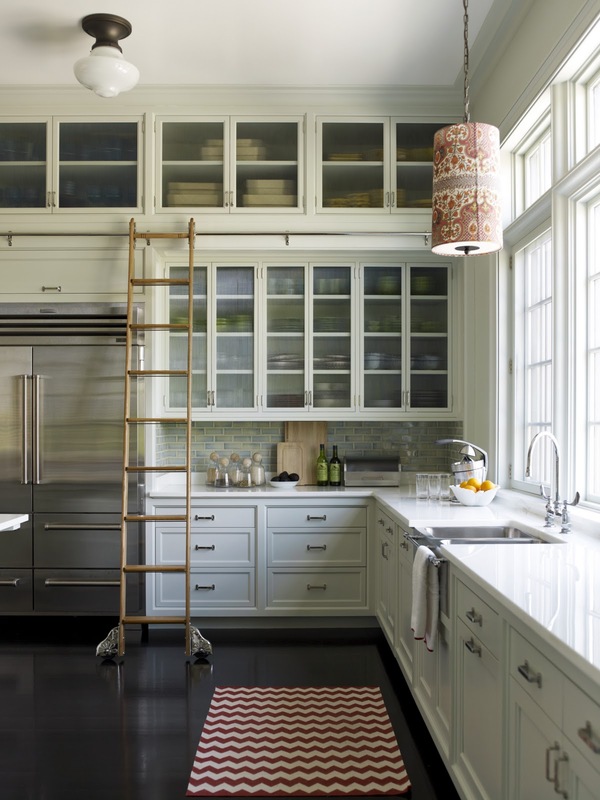 A kitchen re-do (particularly a renovation with a special oven) certainly isn't something I'll be doing anytime soon. Still, I had a vision: small, relatively modest Old School white kitchen punctuated with a little red range and a Katie Ridder-esque lantern made with Indian cotton. Now, Katie's projects aren't usually modest. Her new book is filled with spacious (although very approachable) rooms, high-end design, and master craftsmanship. 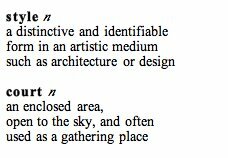 But throughout the pages I'm finding all sorts of ideas applicable to humbler digs. Perhaps not so surprising since she's always been one to roll up her sleeves and pick up a paintbrush or needle and thread. As mentioned in two previous posts, Katie has been doing serious needlework since she was a tween and she has a genuine passion for craft and fine art. 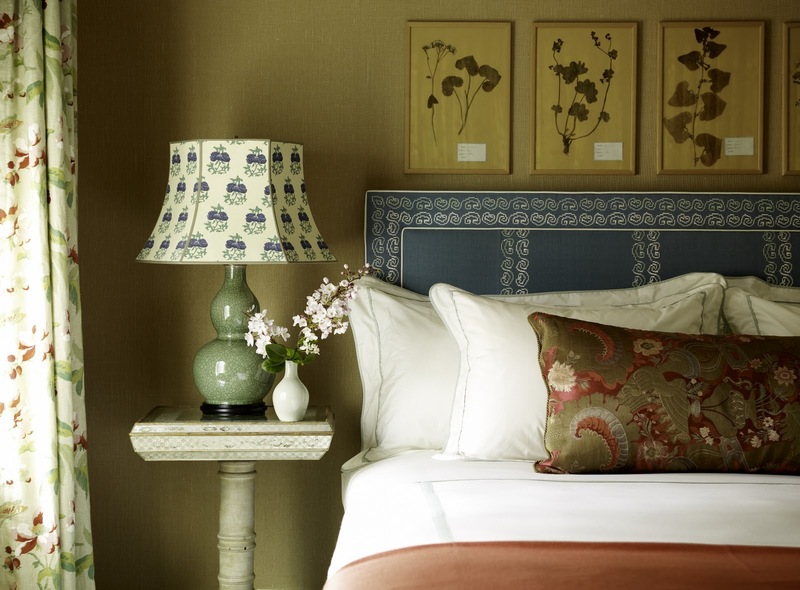 Her interests shine through in bespoke touches like intricately detailed upholstered headboards and custom lampshades. The shades I wanted to highlight because they are typically more attainable. (I receive no perks for saying this, but I've had good experiences at Sunlighting and at Lamp Arts in Atlanta.) Of course, some of the headboards are the stuff of dreams. 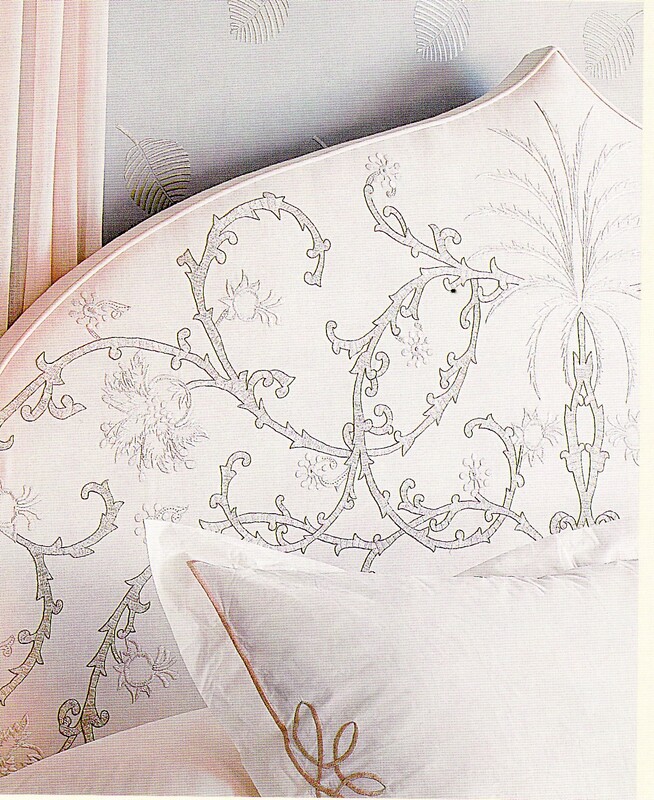 Case in point: the Moorish-inspired Lisa Fine piece, above, with delicate metallic Indian embroidery. Indian, Turkish, and Far Eastern influences are reoccurring threads in Katie's work. 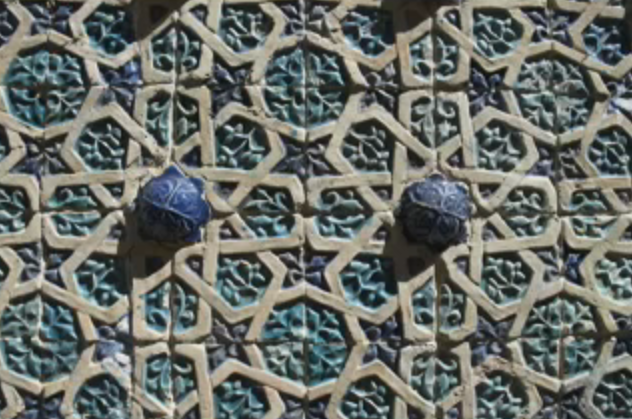 Before it was mainstream in the U.S., she developed a zeal for Turkish design spied at the Topkapi Palace in Istanbul. 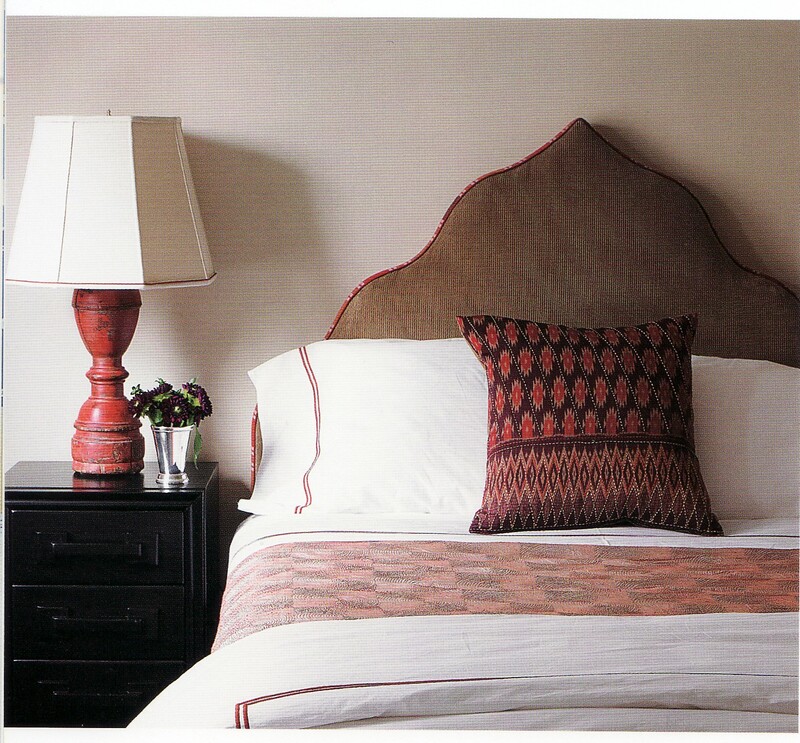 This headboard is upholstered in tobacco-colored corduroy; red cotton welting echos the hue of the Thai lamp. 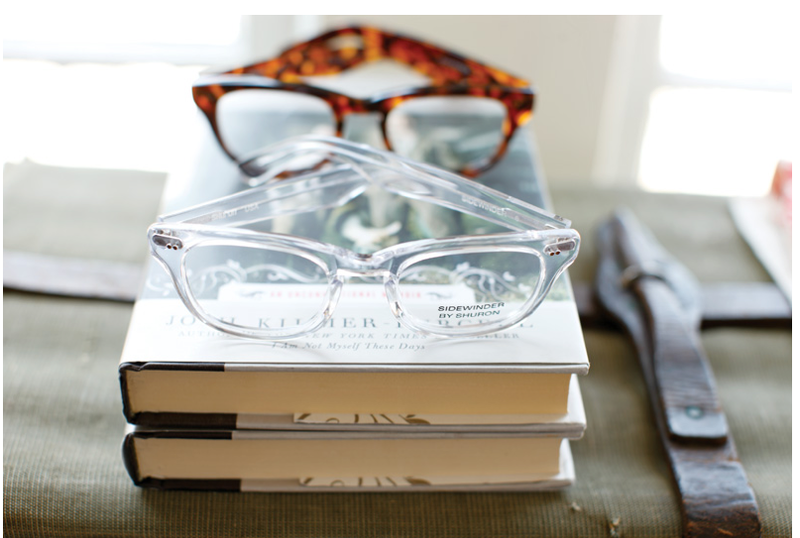 Like her favorite artist, Matisse, Katie is a student of textiles and has fun layering them. In the book, Heather Smith MacIsaac writes that Katie learned from the artist ways to combine luscious colors and pull together a composition. Above, the designer used custom-figured-and-colored de Gournay paper to unify varied shades ranging from coral to lavender. For her own wallpaper collection, Katie "figures out imagery, scale, and color by hand, unaided by technology save for a copy machine that facilitates playing with scale," explains Smith MacIsaac. More nods to Matisse: an African stool (lower right hand corner) and Moroccan tile. I also learned from the book that Katie is a big fan of Maison Gatti bistro chairs. This post represents only a smattering of what is seen in the large volume. A real range of styles is encompassed in roughly 240 pages. But above you can glimpse something that's not included: Katie was generous enough to send me a picture of one of her very early projects -- a quilted fish pillow made at age twelve. 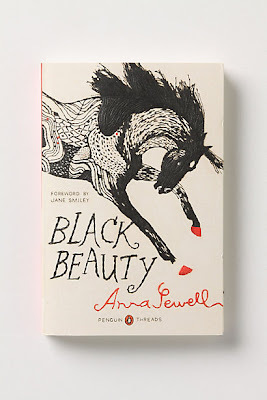 Speaking of childhood and stitchcraft, how great is this embroidery-like cover of Penguin's new edition of Black Beauty? 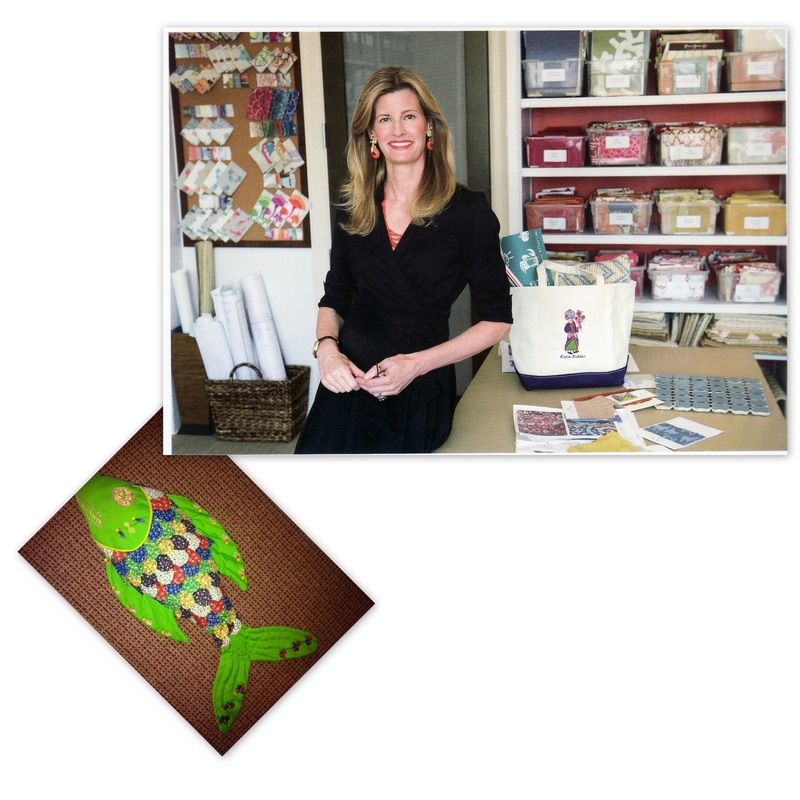 Here's another sneak peek at next week's post about designer Katie Ridder, her life-long passion for craft (by age twelve she was already selling her own hand-stitched, finely detailed cushion-size fabric birds and fish), her new book, and her use of color and pattern. 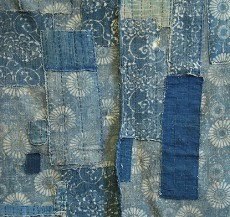 A fragment from an antique kimono was used for the long pillow, above. 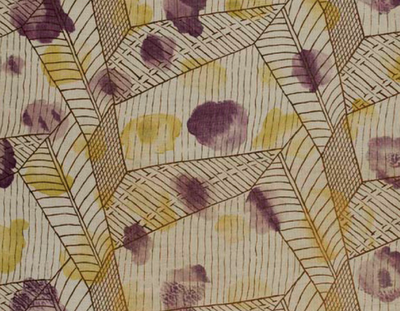 I love how this segment of the pattern reads like an abstract painting. 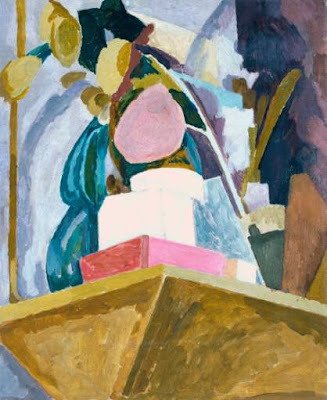 Like Ridder, Bell admired Matisse's work. 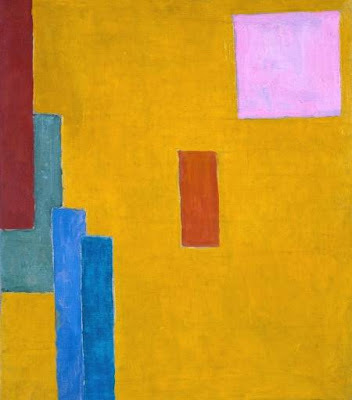 Between 1912 and 1920, her style shows a great deal of experimentation and the influence of the Post-Impressionists -- brighter, sometimes Fauve-like colors and abstract forms. 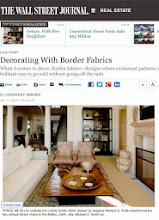 Oh-so-helpful Christina at Christopher Farr's Los Angeles showroom filled me in on the rug story (there's also in-depth coverage by Peter Terzian in the October Elle Decor). Just to recap, the genesis of Farr's newest collection was the Courtald Gallery's 2009 exhibition, Beyond Bloomsbury: Designs of the Omega Workshops 1913–19. 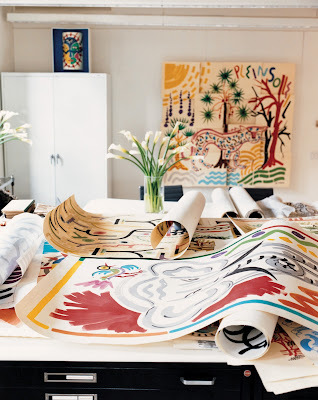 Farr approached the Courtauld -- holder of the largest surviving group of Omega design drawings, many of which are for rugs -- about bringing the bold sketches to fruition. Matthew Bourne, Director of Christopher Farr, and Alexandra Gerstein, Courtauld Curator of Sculpture & Decorative Arts, both weighed-in and worked with a series of conservators to create rugs that are very true to the original drawings. The idea was to keep the Omega artist's lines and marks evident in these hand-knotted, hand-spun wool and mohair pieces. And as Gerstein explains in this video, the influence of African geometrics and Picasso can be seen in several of the Omega designs. 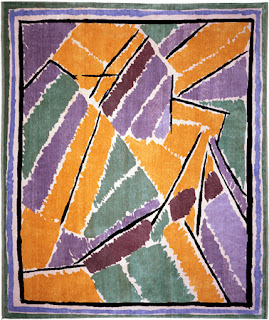 The five rugs produced by Farr will be on view through November 19, 2011 at 748 N. La Cienega Blvd. 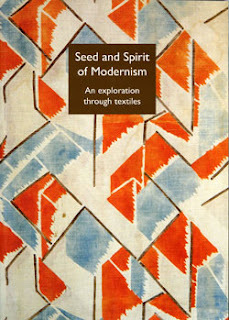 Last Bell reference: for the cover of Seed and Spirit of Modernism, textile dealer Esther Fitzgerald selected the Bell-attributed circa 1913 linen, Maude.